Vivienne KOORLAND (b.1957) is considered one of the most important female artists who have worked in South Africa at the time of Apartheid. Her monumental paintings of rough, collaged material, layered textiles, built-up texts and found objects–which are glued, stitched and bound over linen–manifest as palimpsests of historical memory and trauma. Objects from the past such as black-and-white photographs, cigarette cards, newsprint and book spines are attached to linen and burlap on canvas, creating time capsules of history. The heavily detailed and often large-scale paintings channel a direct response to the memory of war, migration and colonisation, subjects both personal and widely relatable. 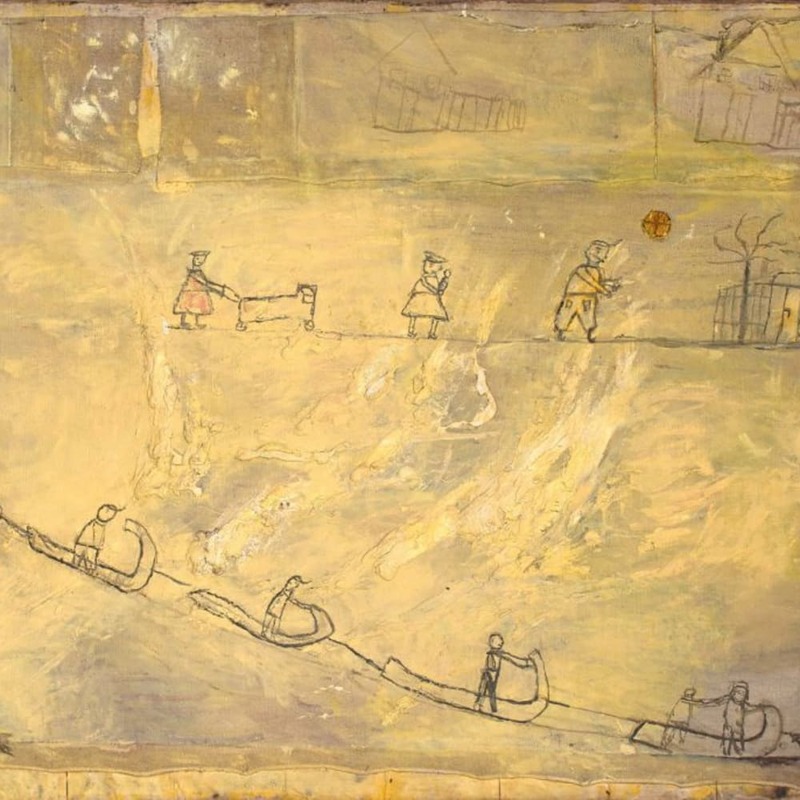 The daughter of a Polish migrant mother who lost her parents in Auschwitz during World War II, Koorland’s work reflects her own lived experience and embodies feelings of loss, displacement and not belonging. Important solo exhibitions include ‘William Kentridge & Vivienne Koorland: Conversations in Letters and Lines,’ Fruitmarket Gallery, Edinburgh, Scotland (2016) and ‘Reisemalheurs (Travel Woes)’, Freud Museum, London, UK (2007).